This is the first of the successful series of Heli Attack. 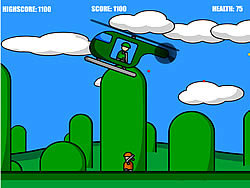 You must shoot down the helicopter chasing you or else you'd be gunned down to death. Good luck!